My work colleague and I recently went on a road trip to a new business presentation for a company, which among their own range of products, also distribute a number of gluten free products. As the trip takes an hour or so we decided to purchase a snack from their factory outlet for the way home. We chose Simply Wize’s Corn Crunch, lightly salted crunchy corn kernels, as we thought they would be the easiest to eat without making a mess. The corn is very tasty and crunchy and it didn’t take long for my work colleague and I to finish the pack, without making too much mess! Simply Wize products are distributed by Momentum Foods and you can find stockists of their products here. 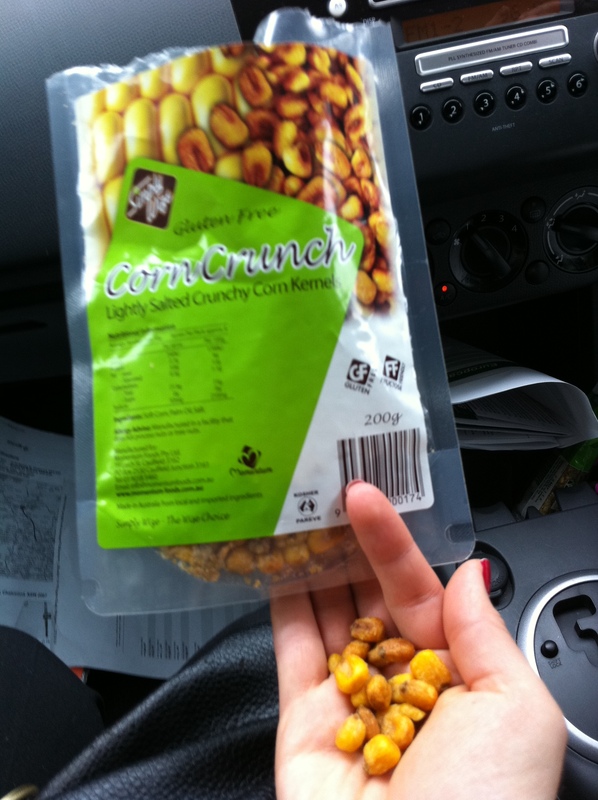 What is your favourite road trip snack?